Brand is all the ways we tell our story and how we present ourselves to the world visually and through messaging. Fueled by a higher calling, Campbell University provides a transformational learning experience that prepares students for servant leadership and equips them with skills and habits to make a difference in the lives of others. 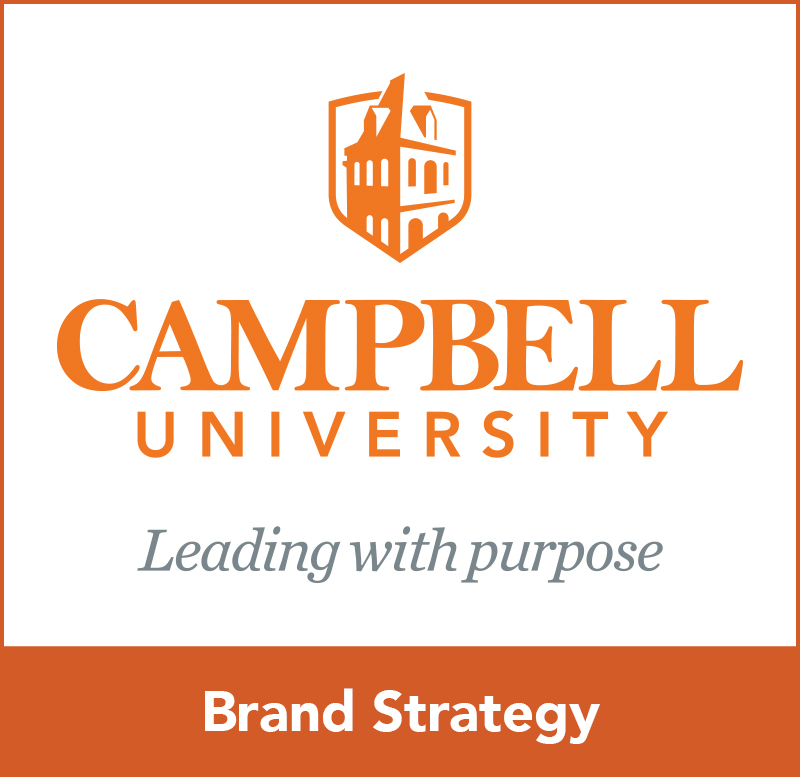 The Campbell brand, positioned to offer key messages to targeted audiences, advances Campbell’s mission and reach. All these divisions share one common goal: to advance the university’s mission to educate men and women who make a difference in the lives of others through work, service, and leadership. 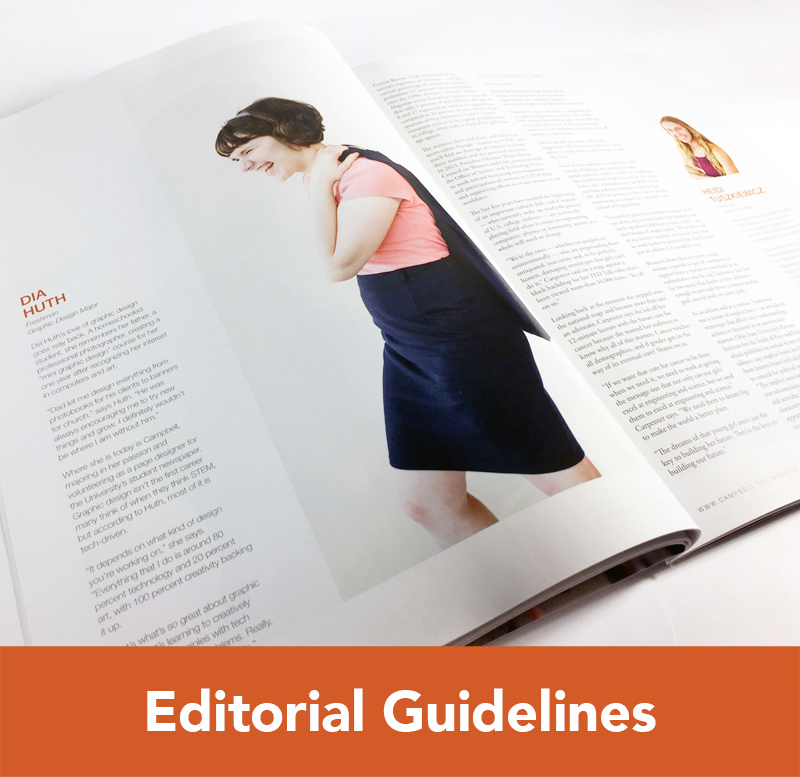 To achieve a unified look producing a higher awareness of the University and a clearer understanding of its many functions among key audiences. To form a more favorable and accurate impression of the University. To project the progressive nature of the University while maintaining its traditional academic stature. To improve efficiency and reduce the cost of communications. To achieve a consistent impression, many institutions use a logo or wordmark (words used as a logo). A logo or wordmark provides a strong, distinctive and versatile graphic symbol unique to the institution. 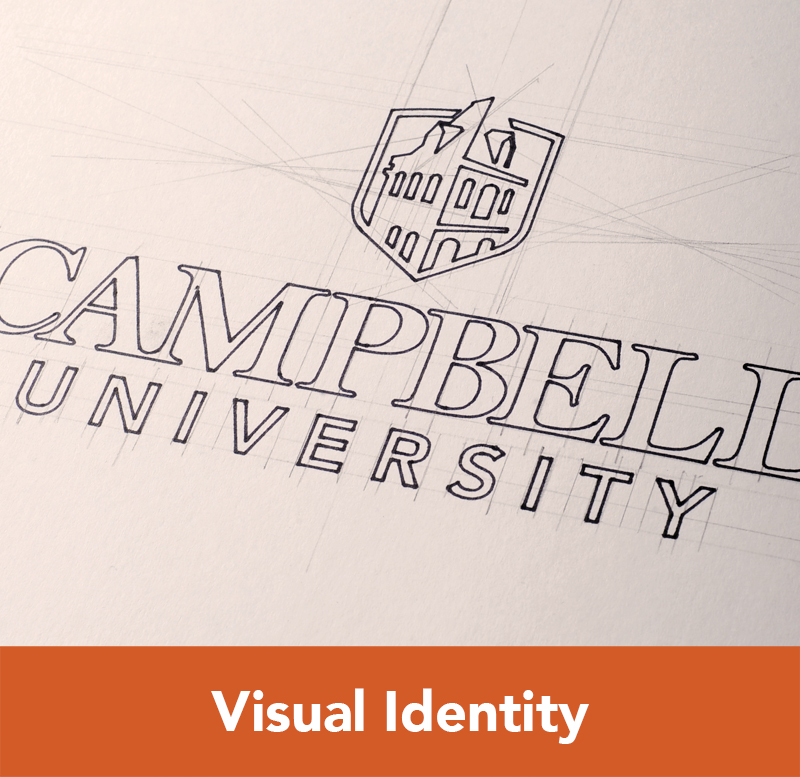 A wordmark was chosen as the primary element to represent Campbell University because it can be easily read and understood at a glance. The name is also the one clearly common characteristic for all the schools, divisions, centers, institutes and other organizational parts of the University.